Our readers are our writers! Email us a writeup and photographs of your cruise to Ilha de Mozambique & we'll send you a cruise discount voucher, to discount the cost of the next one. Ilha de Mozambique is the exciting new cruise destination in the 2017/18 season. After discovering that the MSC Sinfonia will now be too large to dock at Fort Dauphin in Madagascar after undergoing its renovations in 2015, MSC announced the new destination of Ilha de Mozambique which will replace Madagascar. 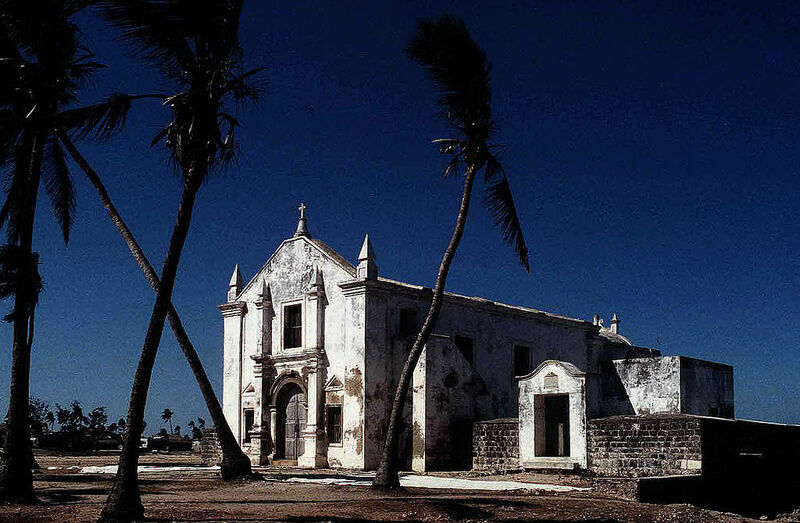 Ilha de Mozambique, an island situated in the Nampula Province of nothern Mozambique, has a rich heritage and was recently declared a Unesco World Heritage Site. Visitors to this fast growing tourist destination can expect to enjoy sandy beaches as well as colonial architecture, bustling markets and delicious cuisine. The island has recently started a period of modernisation and has a fascinating blend of African, Portuguese, Arab and Indian cultures. The island itself is relatively small, at around 3km long and between 200 and 500 metres wide, so a walk around the island could be done on a one day cruise stop over. Most buildings of interest are at the island's northern end. Most of the island's population of 14 000 people live in reed houses at the southern end of the island. Lovers of architecture should not miss the Chapel of Nossa Senhora de Baluarte, the southern hemisphere's oldest habitable building. Other places of interest are the Musea de Arte Sacre, the Chopal, the Fort of Saint Sebastian and Palace of Sao Paulo. Nature-lovers will appreciate the volcanic rock formation that lines Nampula’s vast horizon as well as the nearby Chocas Mar, a long sandy beach about 40km north of the island across the Mossuril Bay and Cabaceiras. Before Vasco de Gama visited in 1498, the island was an Arab port and boat building centre. The Portuguese then established the island as a port and naval base in 1507 and the fortified city of Mozambique became a trading post on the route to India. During the 16th century this portuguese settlement became the capital of Portuguese East Africa. 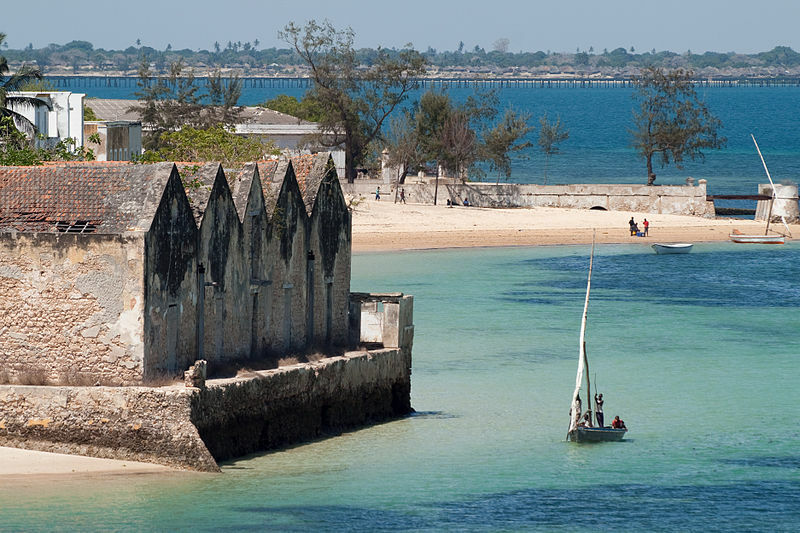 The name of the island came from the sultan Ali Musa Mbiki at the time of Vasco da Gama. This name was then taken by the mainland country which is modern day Mozambique and the island was renamed Ilha de Mozambique. 1. Do I need a passport to go to Ilha de Mozambique? Yes, as you will be leaving South Africa to go to Mozambique, you will need to go through immigration and passport control in South Africa to board the ship and will need a passport to do so. South African Rands, US dollars or the local currency - Mozambican Meticals. The ship stops at the island early in the morning and you will need to be back on the ship in the late afternoon for departure (check the itinerary for your specific cruise for times). 4. Are there any health requirements for Mozambique? There are no official health requirements for Mozambique. Precautions: Mozambique is a Malaria area, however shore landings take place during the day when mosquitoes are least active. Please consult your Doctor, Pharmacist or Travel Clinic. "In February 2015 we did our first voyage. This was an amazing experience. We sailed out from Durban and we had the time of our life. Relaxing, partying, you name it. The food was outstanding and we could eat whenever we wanted to. Even at 10 in the evening when at home you would be in bed already. 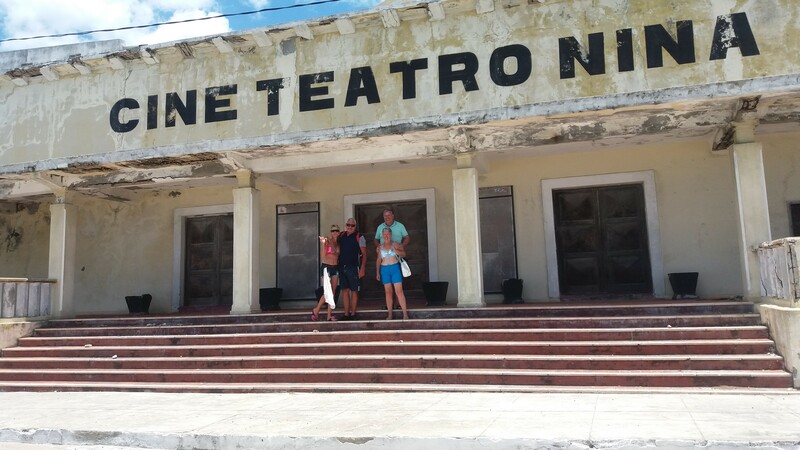 The day we crossed the equator we had so much laughter because of the show that was put together by the crew. The spontaneous part-taking of the people also had us screaming with laughter. The shows that was in the theaters in the evenings was of outstanding performances and we never missed a show. Dinning out in the evening was a grand occasion and we could enjoy the movement of the ship from where we were seated. If you wanted some alone-time, the back of the ship on the balconies was just the spot to enjoy the sight of the water after the cruise of the boat and if you enjoy some action, you could go stand on deck 6 and have a look at the boat going up and down when the water was a bit rough. There was no dull moment and you could even learn how to dance or how to speak another language. This was just in one week. Going off to the islands, each had their own memories. When we were on the one island, we had two young boys following us and we teased my husband with his adopted children. The Portuguese Islands was my favorite and I enjoyed just drifting in the water.